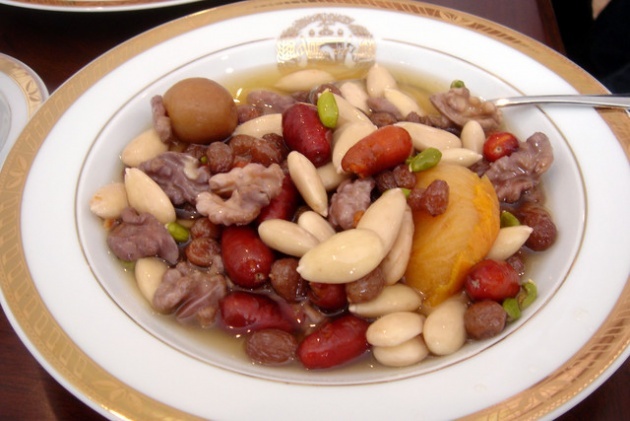 In honor of Afghan New Year (Nowruz) on March 21, here is an excellent recipe for Haft Mewa هفت میوه (literal: Seven Fruits), a traditional Afghan New Year's dish. Many Afghan families prepare Haft Mewa as part of Nowruz celebrations. It is made from 7 different dried fruits and nuts, served in their own syrup. Begin by blanching the walnuts and pistachios. To do this, bring 3 cups of water to a boil, remove from heat, add walnuts and pistachios, cover and let sit for 20 minutes. In the meantime, in a large bowl add both kinds of raisins, cherries and apricots. Rinse these three times in cold water to remove any residue. Add the dried fruit and nuts to the container, along with the rosewater and 5 cups of cold water. Stir well. The water should be at least 1 inch above the ingredients. Refrigerate for 2-4 days. The longer it sits, the sweeter it will get. Haft Mewa will keep in the refrigerator for up to 7 days. A small trick provided by a friend is to keep the almonds separate from the dried fruits and add at the last minute to keep their color white. Serve in a bowl with its juices. Tastes great by itself, on vanilla or mango ice cream, or with plain yogurt. 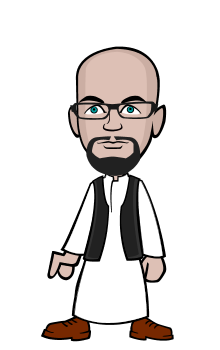 As the Afghan Proverb says: "Khoob be-push, khoob bukhor, zendagee ko-tah ast." "Dress well, eat well, life is short." Enjoy the good things in life while you can. * The official Afghan calendar is the Solar Hijri calendar. Year One of the calendar was the year of the Prophet Muhammad's migration to Medina in 622 CE.